Marty, Martin E, The Mystery of the Child (Eerdmans, 2007, 246 pages). Anyone who has recently browsed the shelves of her local bookstore’s parenting section can attest that parenting books are big business. The myriad titles promise quick solutions to every possible child-related problem from infancy through the teen years: everything from baby sleep and potty-training to behavioral issues and discipline. While these books contain some helpful information (I have gleaned a couple of gems in my own reading), they tend to create a problem of their own: the tendency to reduce the child to a set of problems to be solved. It is this conception of the child that Martin E. Marty sets out to challenge in this compelling work, a project born out of the faculty seminar “The Child in Law, Religion, and Society” at Emory Law School. Marty, typically known for his work as an historian of American Christianity and Worldwide Fundamentalism, guides his reader through a unique philosophical, theological, and sociological reflection on the nature of the child and childhood. The strength of the work is Marty’s fascinating analysis of childhood in terms of mystery. Marty roots his reflection in Gabriel Marcel’s distinction between a mystery and a problem in his work The Mystery of Being. Marcel wrote: “A problem is something which I meet, which I find complete before me, but which I can lay siege to and reduce,” while “a mystery is something in which I myself am involved, and it can therefore only be thought of as a ‘sphere where the distinction between what is in me and what is before me loses its meaning and its initial validity.’” Problems are subject to appropriate techniques, while mysteries transcend all conceivable techniques. The modern tendency is to reduce the child to a problem which varying technicians seek to break down, control, explain, and solve through their distinct lenses of nature and nurture. But, Marty argues, the child resists such reduction. These explanations (several of which Marty explores in the book), while somewhat valuable, do little to capture the true identity of the child. 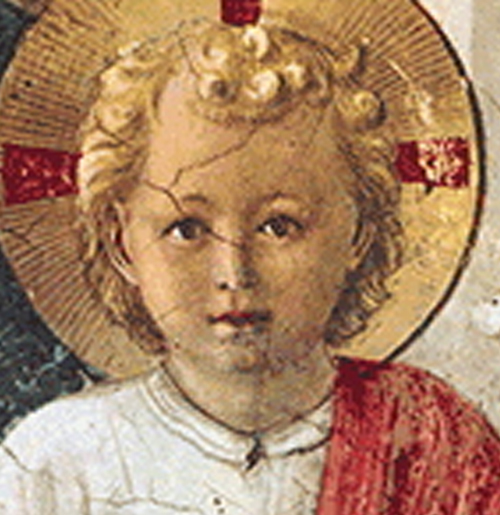 The child is best understood as a child of God, as one of few whom Jesus called to himself as he uttered what George Bernanos calls “some of the most terrible [words] ever heard by human ears”: “unless you change and become like children, you will never enter the kingdom of heaven” (Matthew 18:3). While Marty does not claim to be making an exhaustive survey of every philosopher, theologian, and social scientist who studies the child, I was somewhat surprised that he did not make reference to the work of Hans Urs von Balthasar or Joseph Ratzinger (Benedict XVI). I believe his reflection could be deepened even further through engagement with the work of these two theologians. For the deepest meaning of childhood is revealed not primarily through Christ’s interaction with children, but in Christ himself as the eternal Child of the Father. It is Christ who fully reveals the human person’s vocation to receive herself fully from the Father and to give herself fully to him in return. Nevertheless, The Mystery of the Child poses a much-needed challenge to the world of parenting advice and childcare. Parents, grandparents, caregivers, teachers, and anyone interested in the nature of the child would greatly benefit from Marty’s reflection. I know that after reading it I am compelled to resist the temptation to reduce and control in favor of beholding the beauty and mystery of the two little souls in my care.